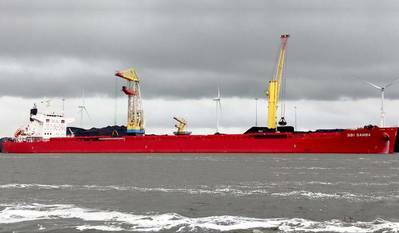 Scorpio Bulkers announced that it has entered into a time charter-out agreement one of its Ultramax drybulk carriers for a period of between five and seven months. The provider of marine transportation of dry bulk commodities said that the 64,000-dwt SBI Libra (built 2017) will earn $15,250 per day. However, it did not name the charterer. Scorpio Bulkers announced last month that it has entered time charter-out agreements for seven of its Ultramax vessels and four of its Kamsarmax vessels. Daily rates range between $14,500 and $16,500. Scorpio Bulkers has an operating fleet of 57 vessels consisting of 56 wholly-owned or finance leased drybulk vessels (including 19 Kamsarmax vessels and 37 Ultramax vessels), and one time chartered-in Ultramax vessel. The Company’s owned and finance leased fleet has a total carrying capacity of approximately 3.9 million dwt and all of the Company’s owned vessels have carrying capacities of greater than 60,000 dwt.